Hello, and happy Tuesday! It's time for a new challenge at Crafty Sentiments Designs. New Tuesday, new challenge. Every week! This week, the challenge is to use dies. I think many of us have dies in our arsenal, so this should be easy. I used a digital stamp today. This is 'Snowman Song', and I think these 2 are adorable! 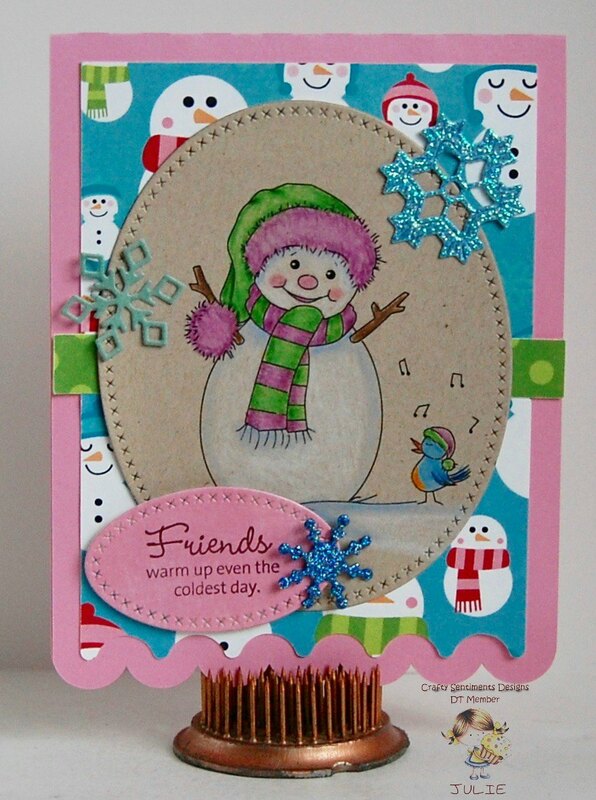 I printed Snowman Song unto Kraft paper, then colored it with Faber-Castell Polychromos pencils. I love the look of colored pencils on Kraft! The sentiment is from Close To My Heart. The snowman background paper is digital. It was found at Snap Click Supply. It is a Lori Whitlock paper -- Frosty. 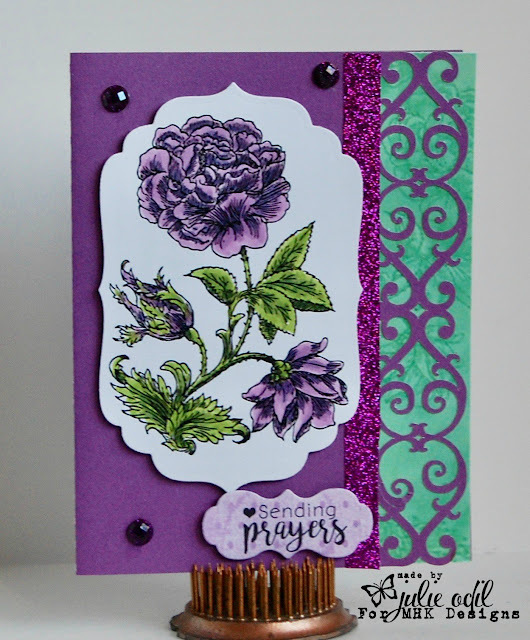 The card base, cut out on my Silhouette Cameo, is from Pretty Paper, Pretty Ribbons. I hope you can join our 'Use a Die' challenge this week at Crafty Sentiments Challenge blog. We have great prizes, and I'd love to see what you make! Hello, and happy Monday! It's time for some mid-month inspiration on the Path of Positivity Challenge Blog. The optional theme this month is "The Road Ahead". 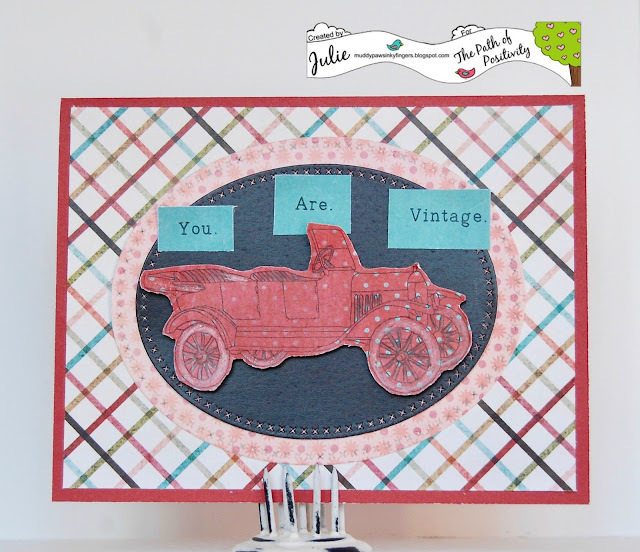 I used the really fun Vintage Car image from our guest sponsor, Ike's Art, to create this card. On the road ahead this year, I'll need many birthday cards, so I'm ready with this vintage-inspired one. Papers for this card can be found at Pixel Scrapper. They are digital, and were created by Marisa Lerin. They are part of the Family Game Night collection. The sentiment is computer generated, using a type set font. The current challenge -- The Road Ahead -- runs until February 5. But, you can link up any positive themed project you'd like. Please join us at The Path of Positivity! 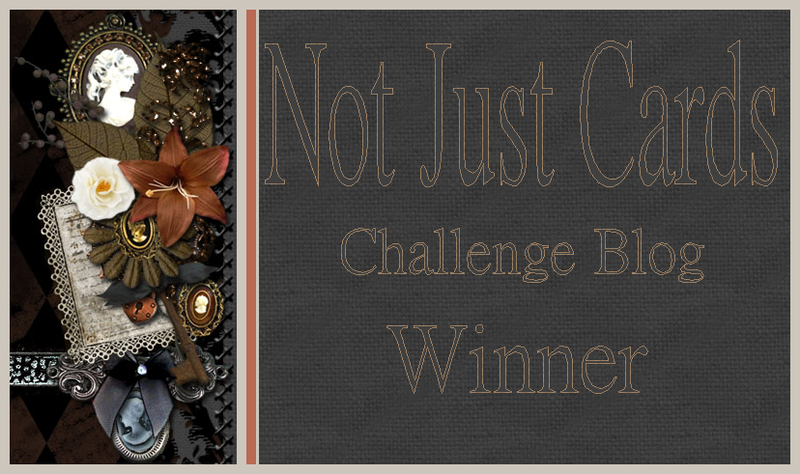 Thanks to Ike's Art for sponsoring this month's challenge! Happy Saturday, everyone! In case you haven't heard my wonderful news, I had a PET scan last Friday. My Lymphoma is in total remission! I had Chemo again on Thursday, and I have 2 more treatments to go, but I'm going to make it through these treatments, and I'm going to BEAT THIS CANCER! I have so appreciated all your prayers and well wishes. Today, it's time for some mid-month inspiration on the Imagine That! Digistamp blog. It's a monthly link up with an Anything Goes theme. 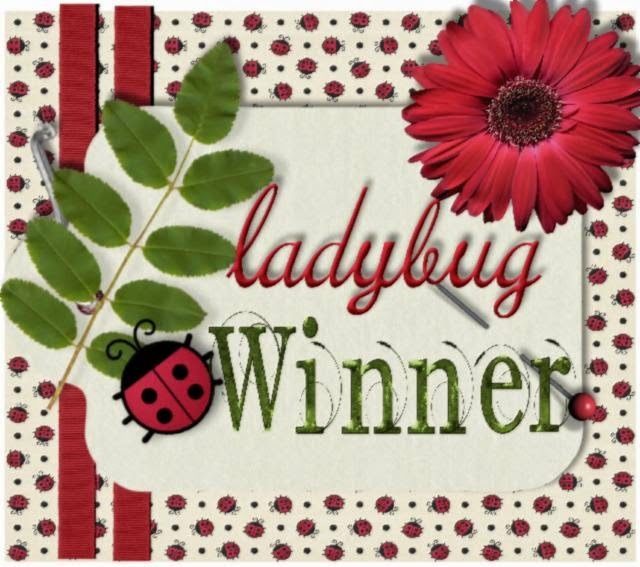 You have until February 4th to enter this month's link up. If you use an Imagine That! 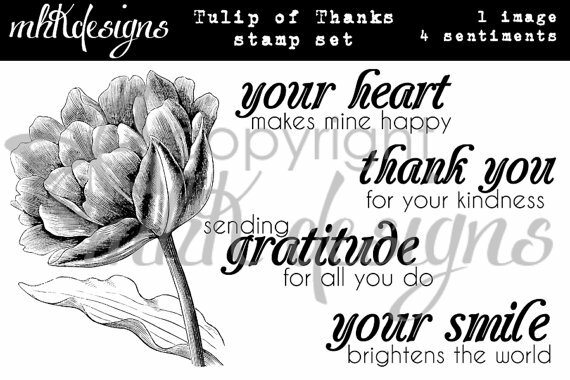 Digistamp product, you will get this month's featured product, Lorie's Seeds of Love, for free. She's adorable! 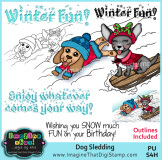 I used the adorable Dog Sledding digital stamp set to create this card. This is one of the pre-colored images from the Dog Sledding set. The sentiment is also from the Dog Sledding set. The snowflake designer paper in the background, found in the Imagine That! 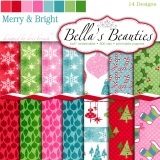 Digistamp Store, is from the Merry & Bright digital paper collection. I cut the scalloped card base out on my Cricut Explore, ran the Hot Off the Press Snowflake dies through my Big Shot, and wrapped the card up with a bit of Timeless Twine to finish it off. Winter fun, indeed! 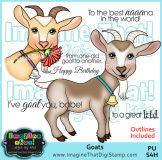 I hope you join our link up party this month at Imagine That! Digistamp. Use one of our images so you can get the delightful freebie! Visit the blog throughout the week for tons of great inspiration for this very talented design team! Check out the Imagine That! 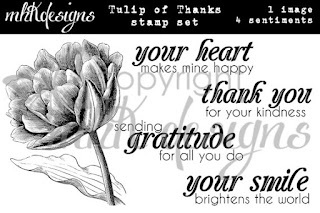 Digistamp Facebook group for even more inspiration, freebies, contests and FUN! It's my pleasure today to be posting for MHKDesigns. It's an even greater pleasure to showcase the Get Well Flowers digital stamp set and papers, created in my honor. Today, I have a PET scan. It will hopefully show that, after 3 chemotherapy treatments, my Lymphoma is in remission. I am praying furtively for that! 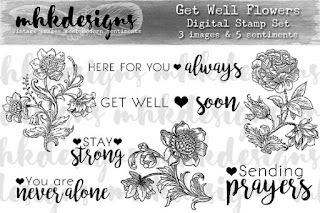 Both the beautiful flower and sentiment are from the Get Well Flowers digital stamp set. The gorgeous designer papers on the border and the sentiment tag are from the Get Well Digital Papers. 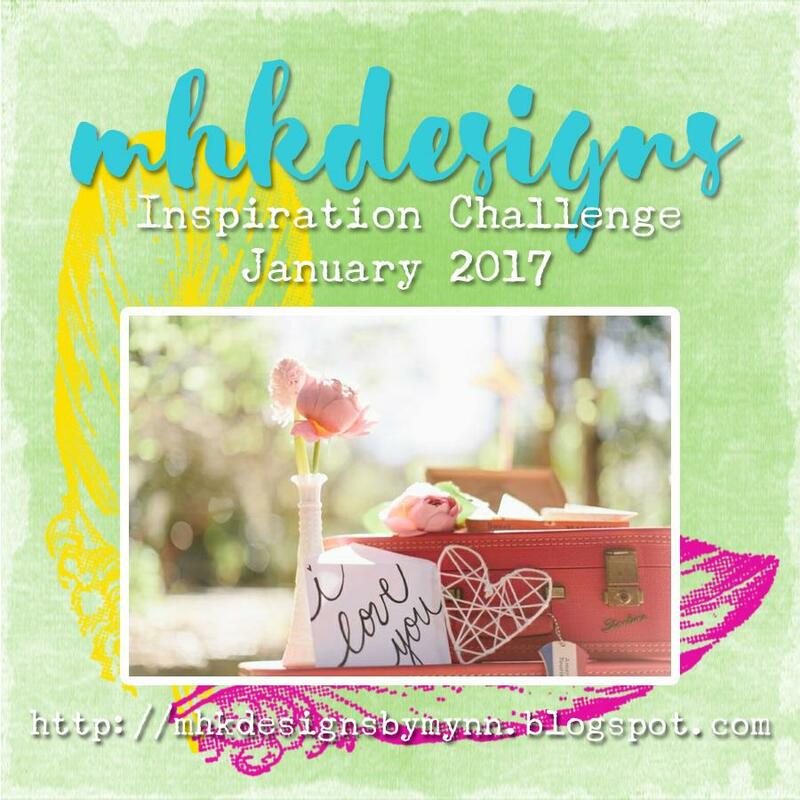 Have you entered this month's MHKDesigns challenge? You can win both of these sets! You have all month! 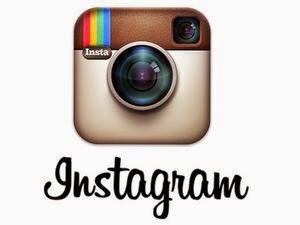 The Break is over, the challenges are resuming. 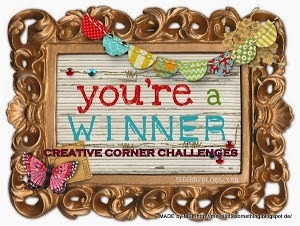 It's time for the weekly challenge at Crafty Sentiments Designs. This week's theme is a favorite -- Anything Goes! 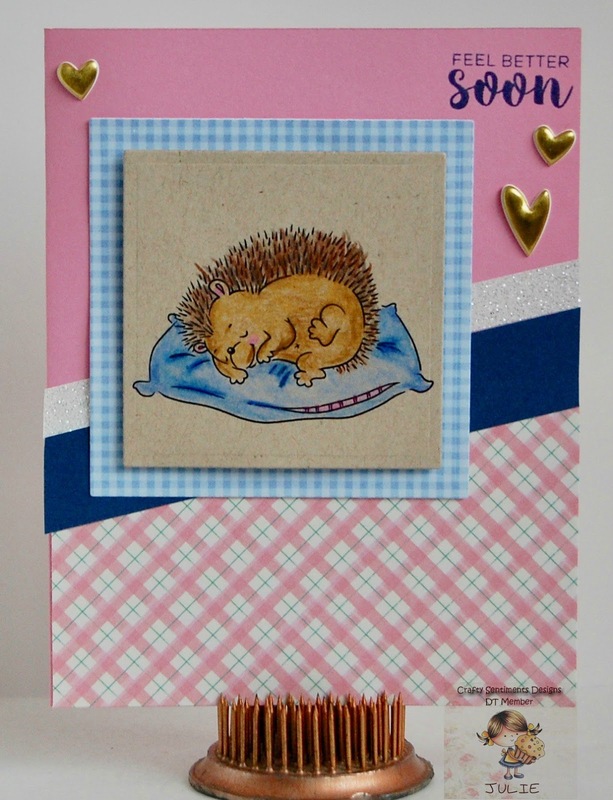 I stamped Sleeping Hedgehog unto Kraft paper, then colored it with Faber-Castell Polychromos pencils. He looks so sweet on his pillow, doesn't he? The sentiment is an old one, as are the papers. Everything on this card is from my stash. 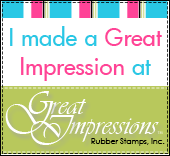 I hope you join us this week at Crafty Sentiments for our Anything Goes challenge. I'd love to see what you make! 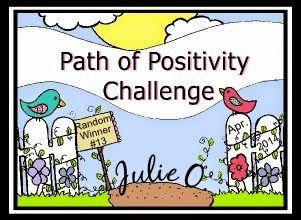 The road ahead -- this month's theme at The Path of Positivity Challenge Blog. We're changing things a bit. It's Anything Goes, as long as it's positive. To be eligible for the prizes from our wonderful sponsors, though, please use the optional month's theme. Life is a journey. Cancer is a journey. I'm trying to find joy each day of this journey called life. Some days, it's easier than others 😊. The image is Scribbles Designs, 953 Pull Trailer. I printed it on Kraft paper, then colored it with Faber-Castell Polychromos pencils. The sentiment is computer generated. Since the road of life can be long, I thought a long card was appropriate for this, so I stretched it out! Papers for this card are from MHKDesigns. They are digital. The Timeless Twine added the finishing touch. 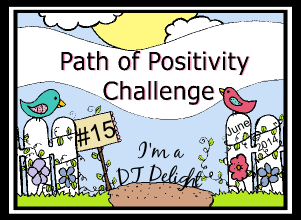 I truly hope you join us this month for our "Road Ahead" challenge at Path of Positivity. Com on the journey with us! I'd love to see your fantastic creations, and there's great prizes to be won. You have until February 5th. Brrr! It is winter at it's finest where I live. I make quick dashes outside with the dog, then get in as quickly as I can. Having no hair from chemo treatments makes for an interesting winter experience! I miss it, especially in the -20 degree weather! A hat just isn't the same. Here's what I created, using very fun Imagine That! 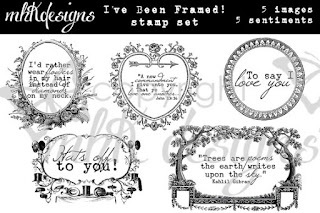 Digistamp products! Ha! He'll like this, I'm sure! I printed one of the goat images from the Imagine That! Digistamp Goats file onto Kraft card stock, and used Faber-Castell Polychromos pencils to color it. I'm a big fan of color pencils on Kraft. The sentiment is computer generated. Papers on this card are digital, also from Imagine That! Digistamps. They're Birthday Bubbles papers. I love how bright and festive they are! A little lemon yellow twine from Timeless Twine finishes it off. I hope you check out the Imagine That! Digistamp blog often. 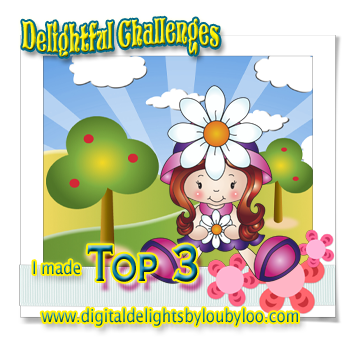 There is great inspiration there throughout the week, and a monthly challenge to check out, too! Check out the Imagine That! Digistamp Facebook Group, too. There's freebies, challenges, fun, and friendship! 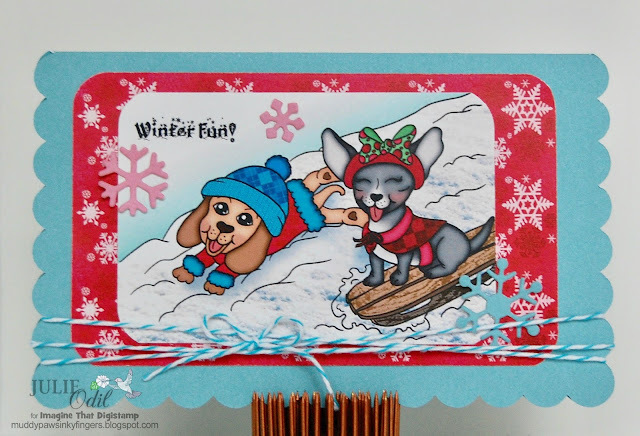 A new year, a new month, a new challenge begins today at the 12 Months of Christmas Link Up. This month's theme is 'Out with the Old, in with the New'. We want to give you a chance to break out any new supplies you may have gotten for Christmas, plus, it's a chance to use something from your stash. The digital stamp, from Ike's Art, is Poinsettia Cluster, colored with Copic markers. 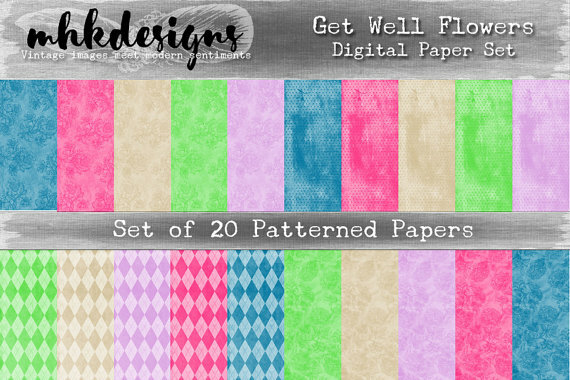 Papers, from Decosse's Dynamite Doodles, are from the Christmas Blooms Collection. 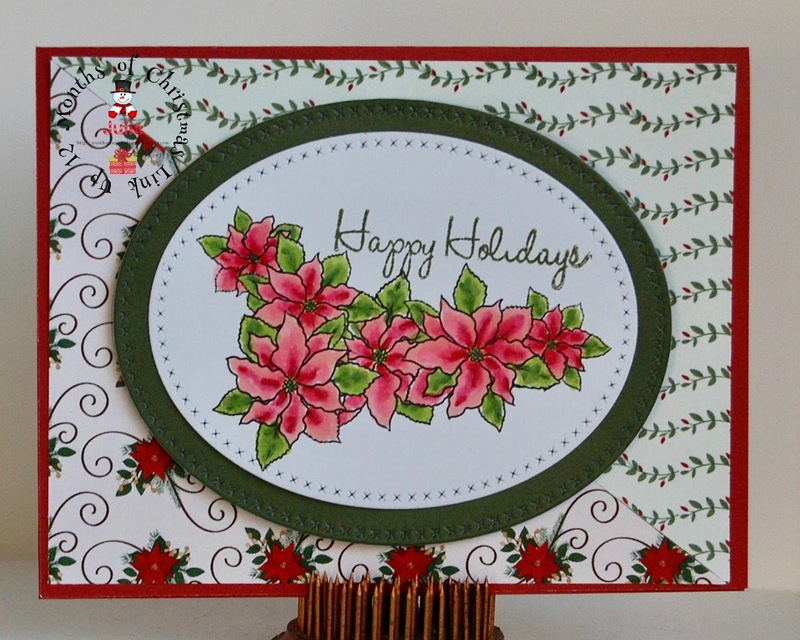 The sentiment stamp and the Poinsettia Cluster are the 'new' on my card. The 'old' is the Christmas Blooms papers, but they're amongst my favorites! Cross stitched oval dies are from Die-namics dies. The sentiment is from Close To My Heart. Thanks to our great sponsors this month! I know it seems like a long time until Christmas, but I love to get a card or 2 made each month. It definitely takes the pressure off in November and December. Card #1 for 2017. I'm on my way! I hope you get started, too, and link up at The 12 Months of Christmas Link Up. A new year, a new month, a new challenge -- all for MHKDesigns. Challenges are moving to the first of the month this year, and running until the last day of the month. Winners will still be announced on the 15th of the month. Challenges are Anything Goes, if you use MHKDesigns products. Or, there's a inspiration picture to help you along. I love the look of colored pencils on Kraft paper, so that's what I did with this card, using the "I've Been Framed" digital stamp set and the "Tulip of Thanks" digital stamp set. The "I've Been Framed" stamp set was colored with Faber-Castell Polychromos pencils. 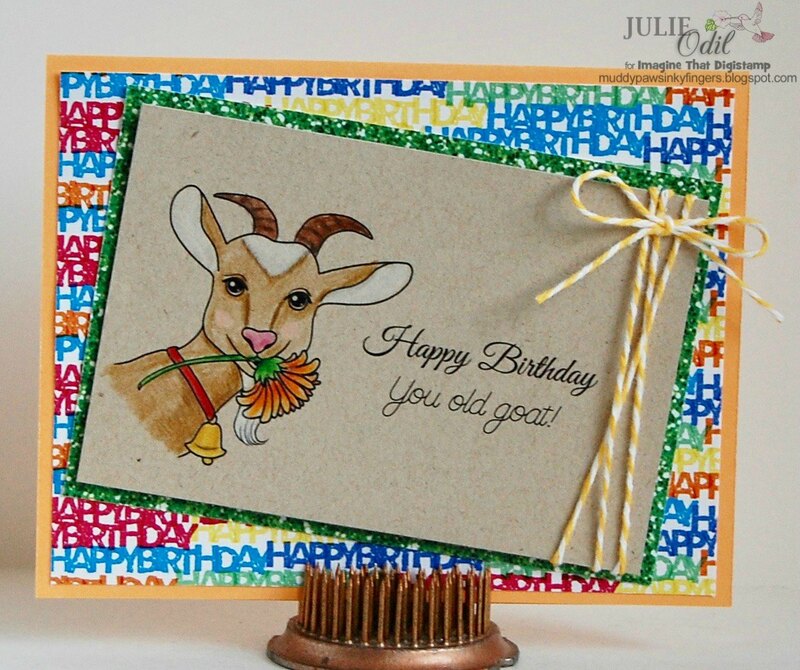 Papers on this card are also from MHKDesigns. 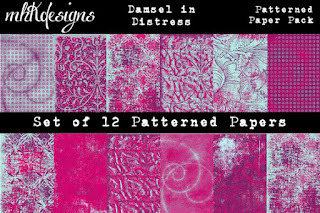 They're "Damsel In Distress" digital papers. 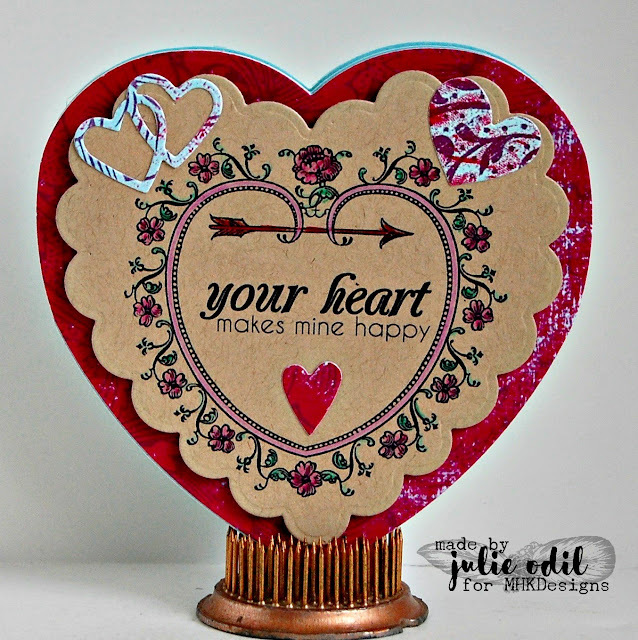 Dies used on this heart-shaped card are from Top Dog Dies and Hot Off the Press. I hope you can join in the MHKDesigns challenge. 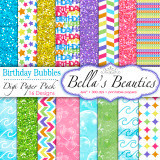 The theme is a fun one (remember, it's anything goes if you use MHKDesigns products), and the prize this month is my absolute favorite MHKDesigns product. Plus, I'd love to see what you make!